We offer a fully-stocked bar and kitchen where you can enjoy authentic local Thai food and proper drinks. Vegetarian food will also be available for all veggie lovers! you can support the bar and help us keeping making parties in the process. Expect the cold weather in the night times in north of Thailand at this time of year. Temperatures at night could drop to 12degrees. The daytime should be hot and sunny we hope. Please bring warm clothes with you. Camping grounds are available at the party. The location has toilet and shower facilities for everyone to use. There will be a Songtaew ,a local pick up between The old clock tower in the Centre of Chiang Rai town directly to the party venue เหมืองคำรีสอร์ท (Mueng Come Resort). It's 50THB each way. Bring your own tent or hammock. Tents can be purchased cheaply from Tesco Louts, Big C or other shopping malls in Chiang Rai if you don’t already have one when you arrive. If you don’t want to camp, Chiang Rai town has lots of guest houses and hotels to suit every budget. 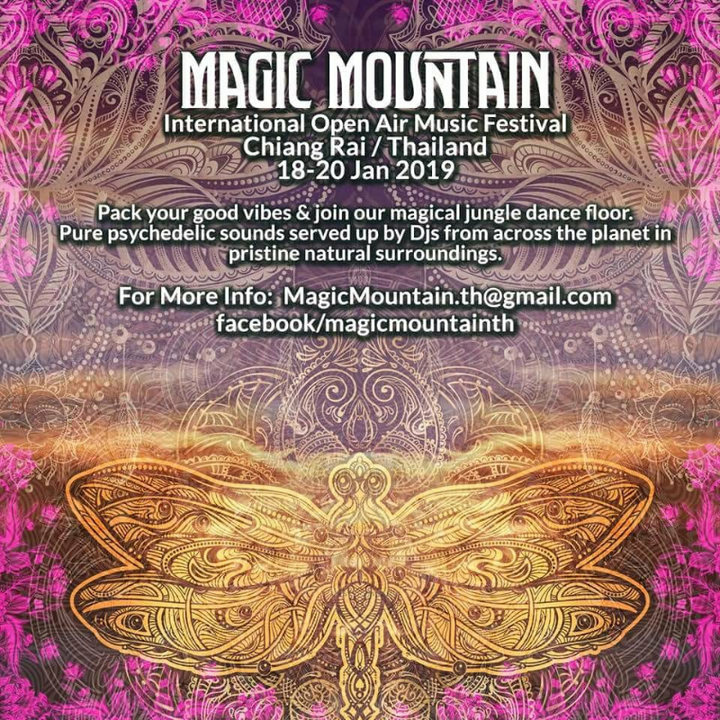 There are many website to booking the accommodation,The Party venue is far from the city Clock tower about 15 mins ,เหมืองคำรีสอร์ท (Mueng Come Resort) is the party venue. ONLY TICKETS AVAILABLE AT THE GATE.